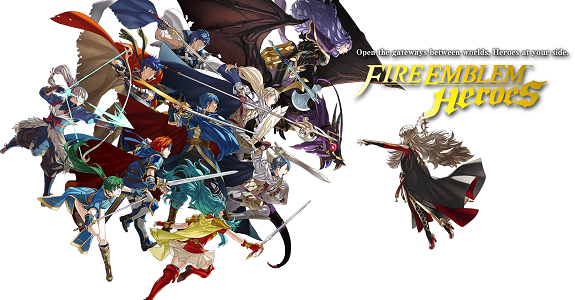 Today, a brand new update for Fire Emblem Heroes was released. It brings the game to Ver. 1.6.0, with several changes and new features: you can find the official patch notes in this post. As usual, the developers shared more details via an in-game notification! Later today (usual update time), a new Summoning Focus will go live: “Cecilia & Lilina’s Battle”. 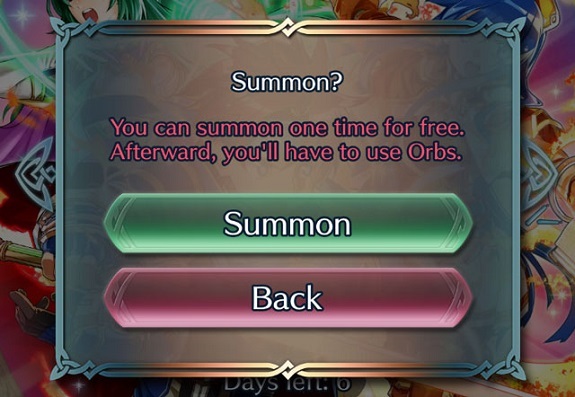 What’s special about this one is that you will be able to have one Summon for free, without having to spend a single orb. But wait… it’s not that particular Summoning: starting today, absolutely all upcoming Summoning Focuses will let you summon your first Hero for free. But that’s not all: another change has been made to Summoning Focuses, that goes live at the same time as the new Summoning Focus. Basically, 4★ Heroes will become more common than 3★, since their initial appearance rates have been swapped. 4★ will have a 58% appearance rate, while 3★ will only have a 35% appearance rate. Naturally, the appearance rate for 5★ stays the same (except during special events, as usual). 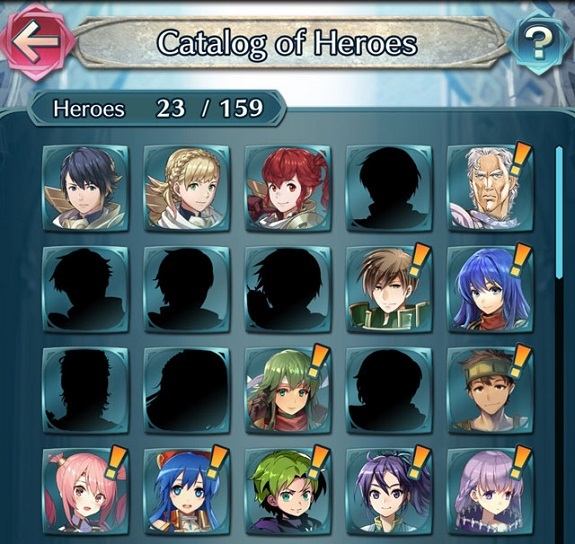 Next, there’s a new feature called the Catalog of Heroes. It’s a… catalog of Heroes, quite simply. It lists all the characters you’ve met in the game (but only after the Ver. 1.6.0 update), allowing you to check their artworks, view their summoning dialogue, their 5★/Level 40 conversation, and more… all that whenever you want. Players looking for a tougher challenge in the Arena will love the new mode: Arena Assault. It’s all pretty simple: you have to keep fighting until all your Heroes have been defeated, or until you win 7 battles in a row. There’s also some special rules: you cannot deploy a Hero more than once during a play session, which means you cannot use it until you complete the challenge… or fail attempting to. It’s for this reason you need a lot of strong Heroes to even attempt the Arena Assault! Fortunately, you can use various items in battle, to help you reach your goal. Seasons for the Arena Assault last one week (just like the regular Arena), but there isn’t any Bonus Allies. What’s more, you don’t need stamina to play, so you can attempt it as many times as you want. But there’s a catch: you can only earn EXP, SP, and Hero Merit once a day in this mode. More details about Arena Assault can be found in this post! Bonus Allies now also give a boost to the abilities of your Heroes (not just a score bonus): HP+10, Atk/Spd/Def/Res+4, and double EXP and SP! Continuous Auto: a feature to activate in Settings, that makes your team battle automatically until their either win or gets defeated. With this update, the developers added a feature that lets you create, manage, and use reserve teams in Tempest Trials, Chain Challenge, Squad Assault, and Arena Assault (in their respective team organisation screen). When cycling between teams of Heroes, the Teams with no members will be skipped. The update for Fire Emblem Heroes (Ver. 1.6.0) is already available!